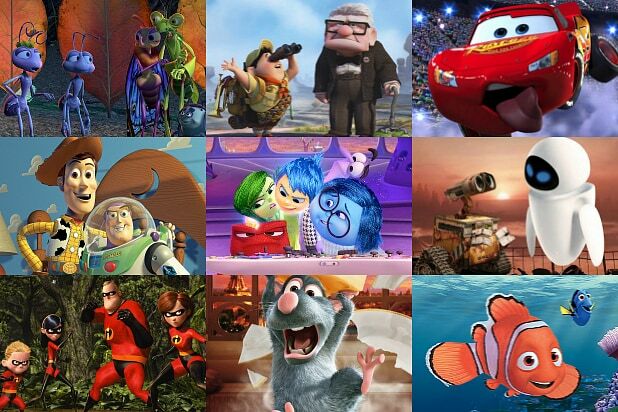 Ranking Pixar movies is like picking your favorite Beatles song or Godiva chocolate flavor. One person prefers “Help!” to “A Day in the Life,” or a dark chocolate truffle to a raspberry nougat, and who’s to say who’s right? With the studio’s 16th feature, “The Good Dinosaur,” opening in theaters this week, TheWrap’s film critic Alonso Duralde stacks Pixar’s offerings from favorite to least. 1. Toy Story 3 (2010) Andy goes off to college and must leave childhood, and its playthings, behind. An exciting and funny meditation on death and growing up and I’m going to need a handkerchief now. 3. Toy Story 2 (1999) Wherein we learn that toys need to be taken out of their mint packaging and loved if they’re to be truly happy. And that a Sarah McLachlan song about a doll who misses being cared for by her owner can reduce grown men to sobbing. 4. Finding Nemo (2003) Albert Brooks and Ellen DeGeneres have the precision timing of a vaudeville comedy duo as two tiny fish who brave the big, wide ocean to rescue a missing youngster. This parable about the push and pull of parent-child dependency offers some of Pixar’s finest blending of adventure and comedy. 6. Inside Out (2015) An 11-year-old girl’s brain becomes the backdrop for another hair-raising adventure, as her emotions fight to find balance during a rough patch in her life. No shortage of jokes and excitement, and early screenings have seen crusty film critics openly weeping in their seats. 7. “Finding Dory” (2016) What this follow-up lacks in The Feels, it more than makes up for with The Laughs and The Thrills. 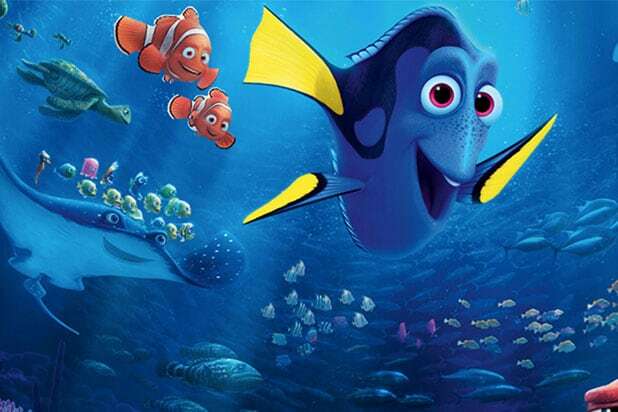 Ellen DeGeneres returns as the famously forgetful fish who sets off to find the family she forgot she had. Witty, bright, and exciting, even if that tissue in your pocket winds up going unused. 8. 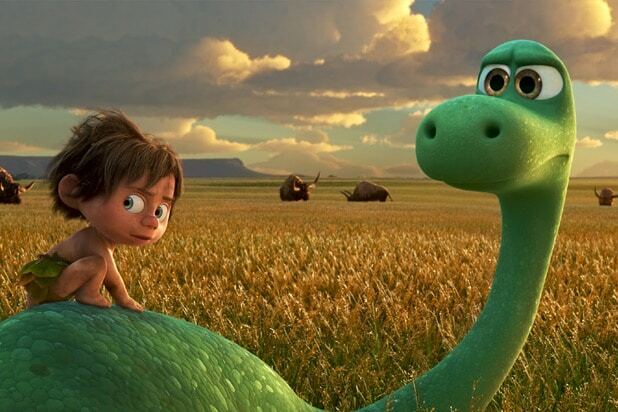 The Good Dinosaur (2015) Even though this tale of evolved, agrarian dinosaurs unpacks the ever-popular dead-parent plot twist in the first act, it offers up both laughs and tears. Frightened, awkward dino Arlo (Raymond Ochoa) travels home through a savage landscape with the helpful accompaniment of a feral boy named Spot (Jack Bright), who generally behaves like a dog, in a movie where the stakes are slighter but the character bonds are nonetheless rich. 9. Brave (2012) Despite a rough production, this saga offers us Merida, one of U.S. animation’s most self-assured characters, who refuses to be married off by her father as though she were your run-of-the-mill princess. Merida’s skill with a bow and arrow made archery look even more appealing than Jennifer Lawrence does in the “Hunger Games” movies. 10. WALL-E (2008) The first half or so of this ecological fable – a silent comedy about the titular robot tidying up an abandoned earth and longing for love – is Pixar’s greatest achievement. Unfortunately, it gets dragged down by a lot of loud chasing in the second half. 11. Ratatouille (2007) Follow your bliss, says this entry, even if you’re a sewer rat who wants to be a gourmet chef. 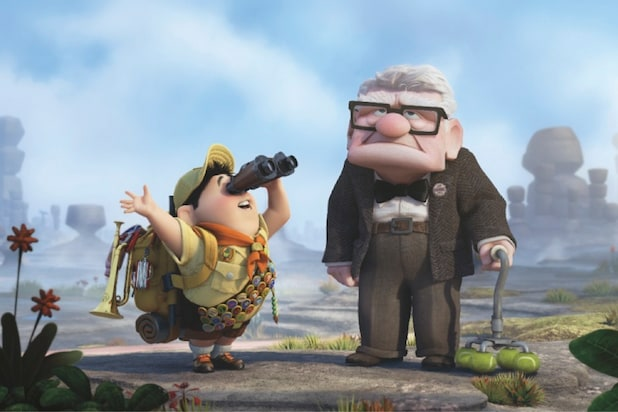 It’s lovely, and its ending will be forever cited by critics of every medium, but some screenwriting contrivances make it good-but-not-great Pixar. 12. Up (2009) Like “WALL-E,” this movie opens with a chunk of filmmaking perfection as we get to know the life, and losses, of our elderly hero. But while there’s nowhere for his balloon-festooned house to go but up, there’s nowhere for the movie to go but down after such an auspicious beginning. 13. Monsters University (2013) This colorful prequel, featuring Mike (voiced by Billy Crystal) and Sully (John Goodman) as college freshmen, plays like a G-rated “Revenge of the Nerds,” and that’s mostly a good thing. Is this the first kids’ movie to suggest that higher education isn’t necessarily for everyone? 14. Monsters, Inc. (2001) The things that go bump in the night are just doing their jobs, collecting the screams of boys and girls to power their monstrous alternate dimension. Leave it to Pixar to turn childhood terror into something fuzzy and huggable while also sneaking in a metaphor about over-reliance on fossil fuels. 15. A Bug’s Life (1998) Back in 1998, the second Pixar feature was racing to the big screen against the thematically similar “Antz.” Neither has achieved iconic status, notwithstanding the “Bug’s”-themed kiddie area of Disneyland. The film does provide memorable voice roles for “The Ref” co-stars Denis Leary (as a manly-man ladybug) and Kevin Spacey (scaring the little ones as an ant-exploiting grasshopper). 17. 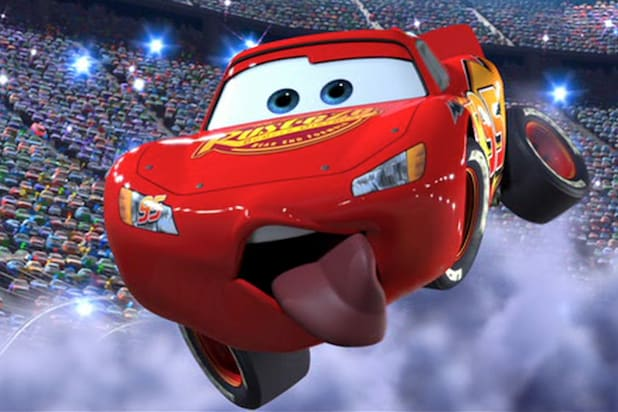 Cars 2 (2011) “They should let people see the movie for free,” one pundit opined, “since Disney will make all their money back on the bedsheets.” Some of Pixar’s best movies are sequels, but this follow-up to an already inferior studio entry seemed like nothing but a craven bid for more merchandising money. The results were good for shareholders but middling for moviegoers. 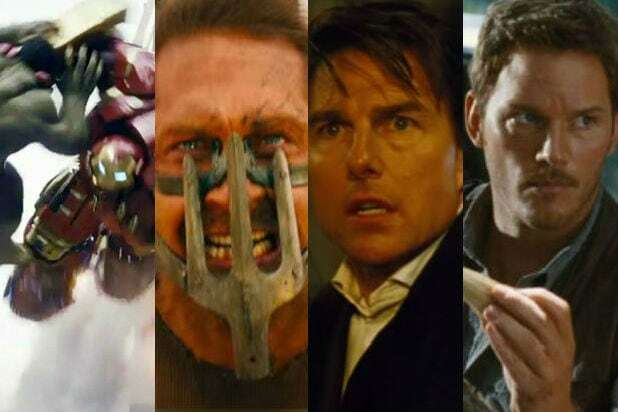 The elite superhero team -- including Scarlett Johansson, Robert Downey Jr., Chris Hemsworth and Chris Evans -- assembles again in this follow up to the 2012 blockbuster. Kristen Wiig stars in this indie drama about a woman with borderline personality disorder who buys herself a cable access talk show after winning the lottery. Will Ferrell and Adam McKay produced. Jack Black plays the head of his high school reunion committee who must convince the most popular guy in his class (James Marsden) to attend the reunion in this Sundance pic. Arnold Schwarzenegger stars in this indie as a father who stays with his daughter (Abigail Breslin) as she transforms into a zombie. Anna Kendrick returns for the song-filled sequel to the 2012 musical smash hit. Sam Rockwell leads a remake of the 1982 horror classic that was originally written by Steven Spielberg. George Clooney and Britt Robertson star in a sci-fi fantasy about a man and woman who must discover the secrets of a strange land lost in time and space. Cameron Crowe directs Bradley Cooper and Emma Stone in a romantic comedy about a military contractor overseeing a satellite launch in Hawaii. Dwayne Johnson stars in a disaster movie about a chopper pilot who must rescue his daughter (Alexandra Daddario) after a massive earthquake strikes California. Vince (Adrian Grenier) drives Ari (Jeremy Piven) up the wall when he decides to direct and star in his own movie in the big screen version of the HBO show. Melissa McCarthy co-wrote and stars in a comedy about a CIA analyst who gets her chance to work in the field when an arms dealer (Rose Byrne) threatens to destabilize the world. In this horror prequel, psychic Elise Rainier (Lin Shaye) agrees to help teenager (Stefanie Scott) who is being targeted by a supernatural force. Chris Pratt and Bryce Dallas-Howard lead the latest installment in the Michael Crichton-inspired series. This time around, the park is terrorized by a genetically-engineered dinosaur that escapes its enclosure. This 2015 Sundance Grand Jury winner follows an anti-social teen (Thomas Mann) who falls in love with a classmate (Olivia Cooke) who has leukemia. This Sundance breakout centers on a teen (Shameik Moore) trying to make his Ivy League dreams come true in his tough LA neighborhood. Pixar takes us inside the mind of a little girl as her emotions vie for control. Amy Poehler, Mindy Kaling and Bill Hader all lend their voices. Seth MacFarlane's foul-mouthed teddy bear returns in the sequel that finds Ted (voiced by MacFarlane) and John (Mark Wahlberg) fighting in court to prove that Ted is human. This feel-good documentary tells the story of a five-year-old leukemia patient who inspired people from all over the world to help him live out his dream of being Batman for a day. A teenage-boy (Onni Tommila) rescues the President of the United States (Samuel L. Jackson) when Air Force One crash lands near his campsite. Channing Tatum gyrates his way into this sequel as stripper "Magic" Mike who decides to attend an annual stripper conference in Myrtle Beach. Arnold Schwarzenegger is back as the unstoppable android as he fights to protect Sarah Connor (Emilia Clarke) with the help of Kyle Reese (Jai Courtney). The Minions are back in this "Despicable Me" spinoff. This time, they are recruited by a super-villainess (Sandra Bullock) in her plot to take over the world. "Big Bang Theory" star Melissa Rauch co-wrote and stars in this comedy about a former Olympic athlete clinging to her last shreds of fame. Paul Rudd leads this Marvel comic adaptation about a con man who is given a device that can shrink him in scale by Dr. Hank Pym (Michael Douglas). Amy Schumer and Bill Hader star in a Judd Apatow comedy about a magazine writer (Schumer) who refuses to commit, until her relationship with a doctor (Hader) challenges her notions of monogamy. Based on the infamous 1971 psychological experiment, 24 male students volunteer to play prisoners or guards in a mock-prison, only for things to spiral completely out of control. Based on the novel by John Green, Nat Wolff plays a boy who convinces his friends to embark on a road trip to find the missing girl next door (Cara Delevingne). Adam Sandler leads a team of gamers (Kevin James, Josh Gad, Peter Dinklage) who must fight aliens that invade Earth in the form of classic video games. Jake Gyllenhaal packed on the muscle for this drama about a troubled boxer fighting to regain custody of his daughter. Antoine Fuqua directed based on a script by Kurt Sutter. Joaquin Phoenix and Emma Stone star in a Woody Allen film about a college philosophy professor (Phoenix) who enters into a relationship with his student (Stone). Tom Cruise once again does the impossible as he leads his team against an international syndicate intent on destroying the Impossible Mission Force. Jesse Eisenberg stars as Rolling Stone journalist David Lipsky as he conducts a series of interviews with author David Foster Wallace (Jason Segel). The film is based on Lipsky's book, "Although of Course You End Up Becoming Yourself." Miles Teller (Mr. Fantastic), Michael B. Jordan (Human Torch), Kate Mara (Invisible Girl), and Jamie Bell (The Thing) lead this comic adaptation about the superhero team that gained powers after an accident in space. Henry Cavill and Armie Hammer play an American and Russian agent forced to team up to stop an evil organization trying to steal nuclear weapons. The film is based on the 1964 TV series of the same name. O'Shea Jackson Jr., the son of Ice Cube, plays his father in this look at the impact of the revolutionary gangster rap group NWA. Rupert Friend stars in this video game adaptation about a genetically engineered assassin who teams up with a mysterious young woman to bring down an evil corporation.